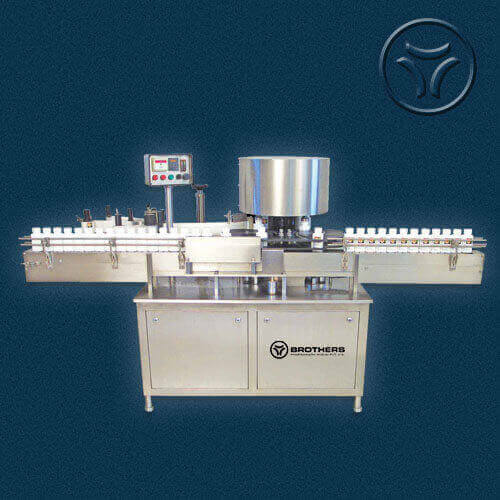 Automatic Vertical Rotary Sticker Labelling Machine Model LABELSTIK - 120R, is one of the most user friendly and suitable for applying Wrap Round or Partial Label on Rectangular, Square, Hexagonal or Round Shape bottles. 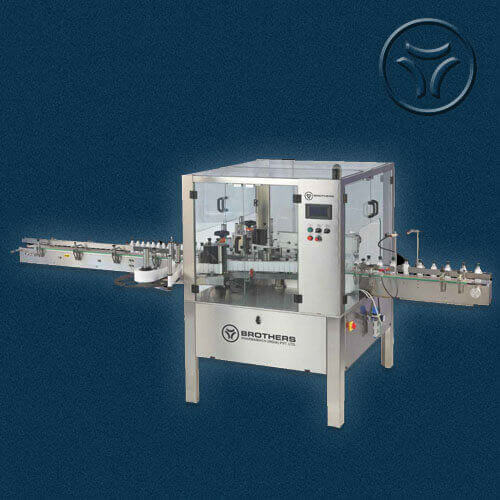 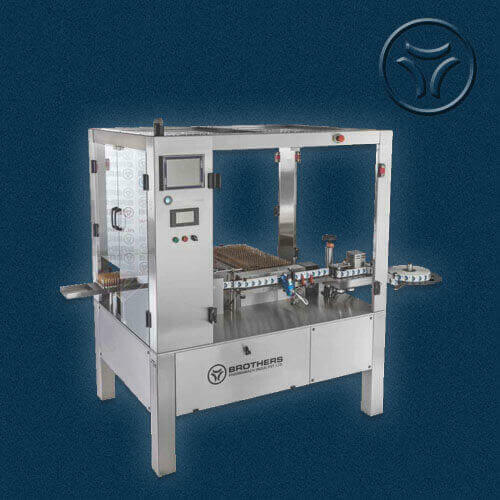 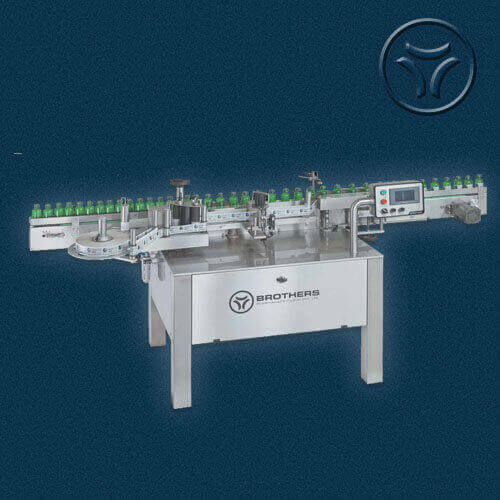 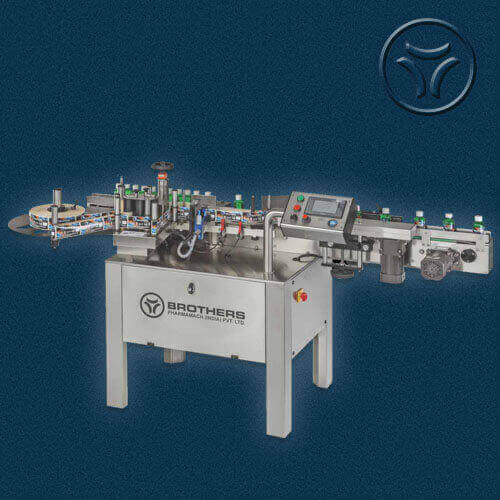 Machine suitable for covering total body of bottles having special shape where the linear label is not suitable to apply labels. 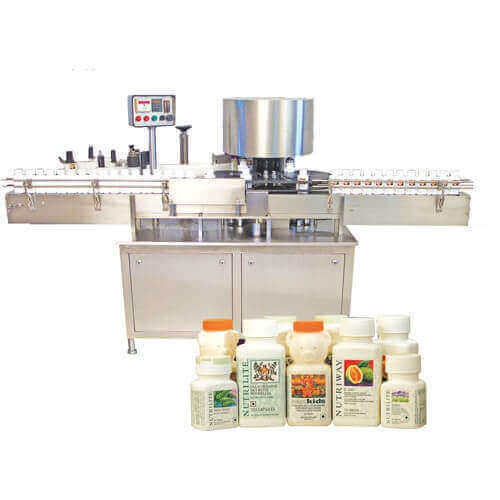 The Machine incorporates Latest sophisticated SERVO Controlled Label Dispensing system with user friendly Sensing system for Label and Product. 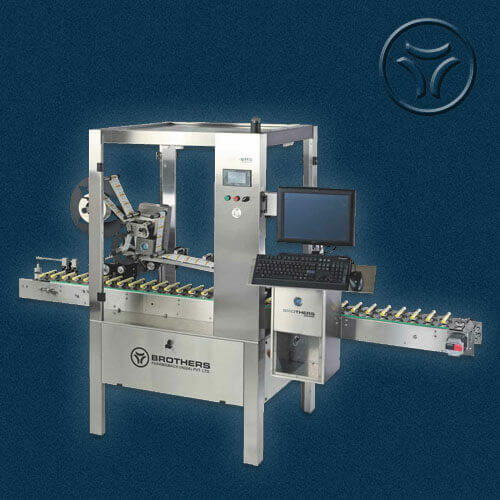 It is capable of Labelling up to 60 or 120 units per minute depending on Products, Label size, Label Position and Machine Model. 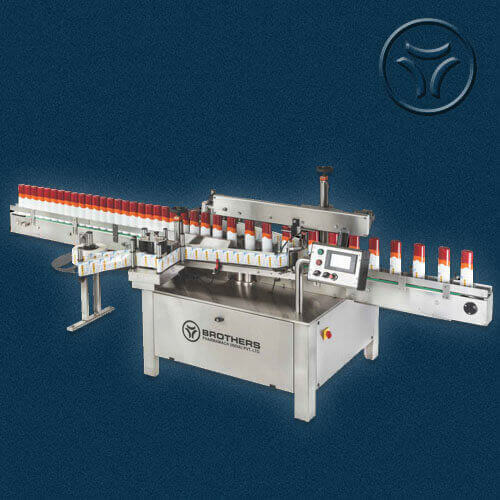 Machine is fully synchronized with all operations including Product Conveyor, Feed Worm, In feed-Exit Star Wheel and Label Dispensing for optimum labelling accuracy, it also helps to change the Labelling speed online with the help of Single Speed Pot provided on control panel. 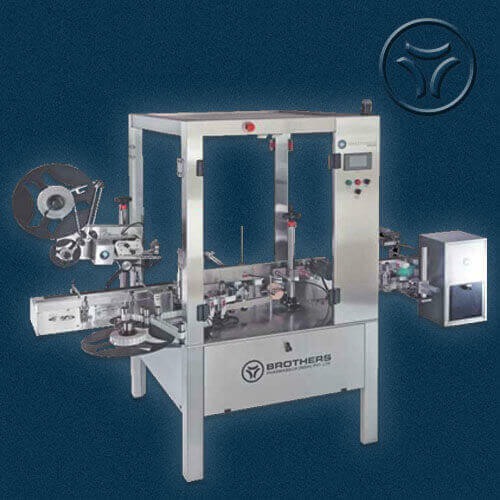 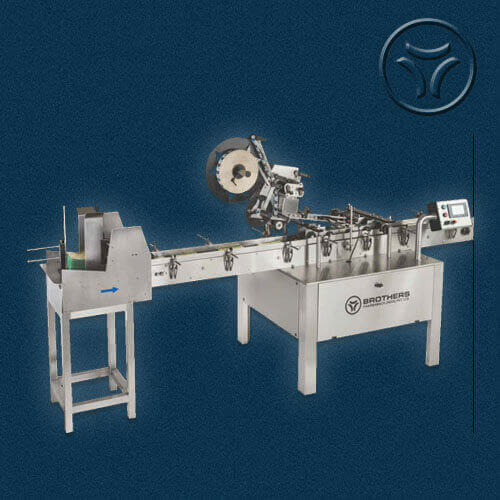 LABELSTIK - 120R High Speed Rotary Sticker Labelling Machine with unique single point synchronized speed control system. 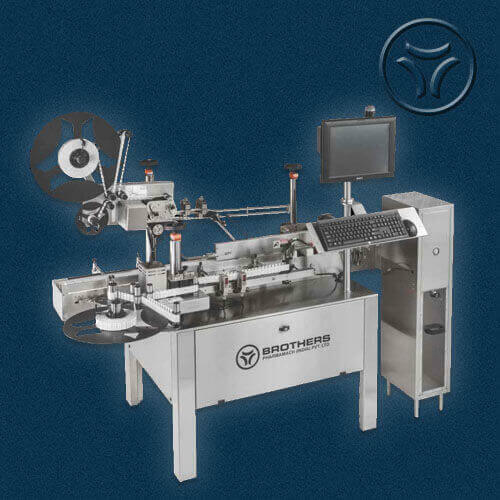 The Inbuilt Automated Label Length detection systems eliminates any need for manually feeding and storing of Label Length data in memory and retrieving the same every time for change of Label Size & re-starting the machine. 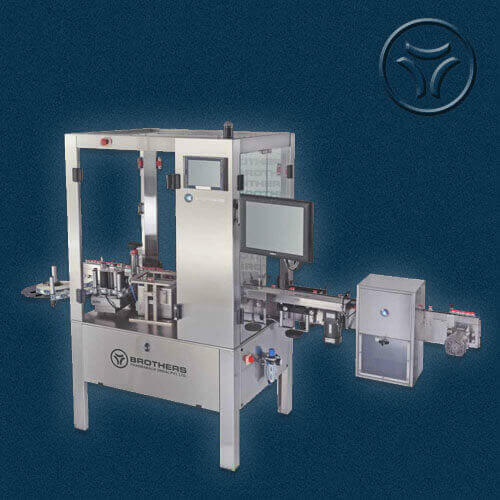 The System thus saves valuable time, avoiding machine-down time, and helps achieve higher production. 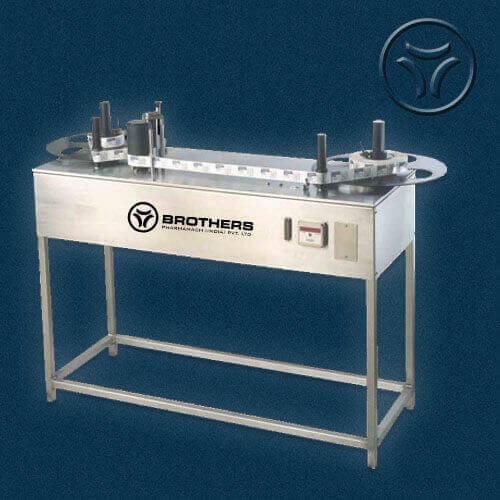 Machine available with Single, Double or Triple Dispenser to Apply Single, Twin or Triple Label on Single Product. 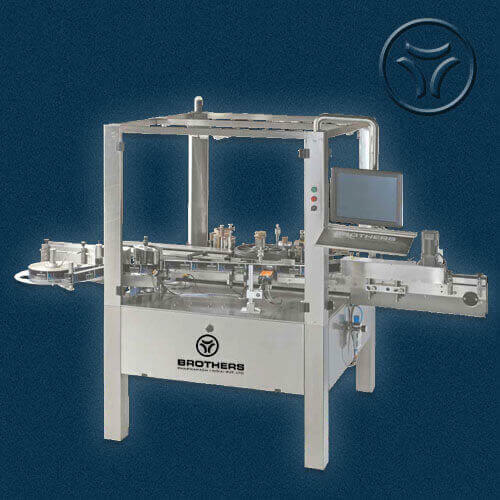 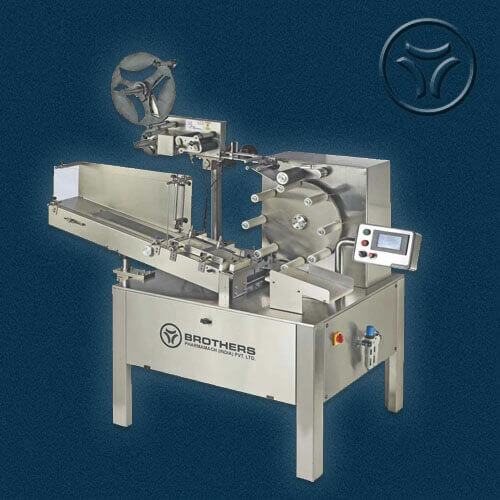 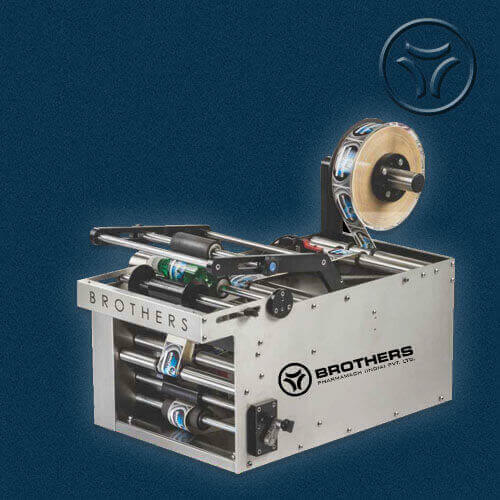 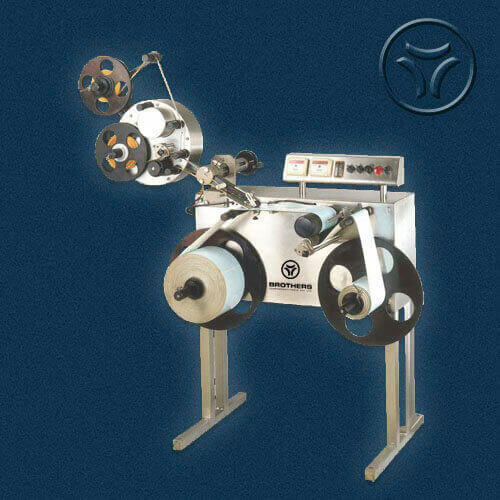 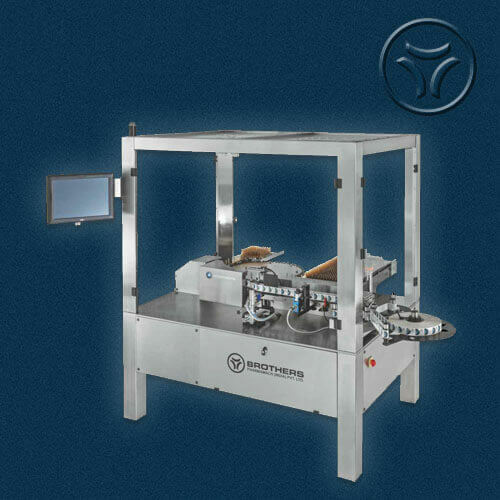 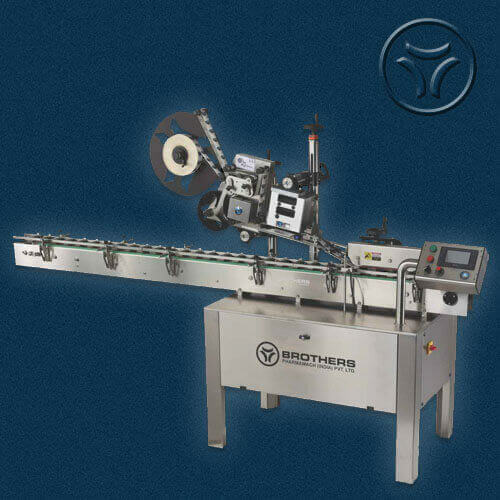 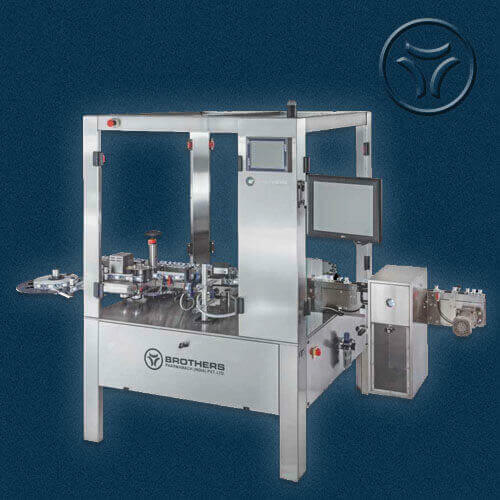 Speed : 60 - 120 Labels per minute depending on Product and Label Size.